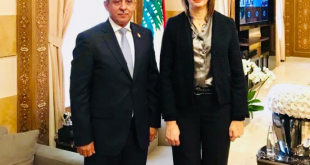 Foreign Minister Khaled Alyemany received Thursday credentials papers of the newly appointed Ambassador of Czech Republic to our country Jurage Kodelka. Alyemani welcomed the Czech diplomat, briefing him on the latest developments relating to peace process. 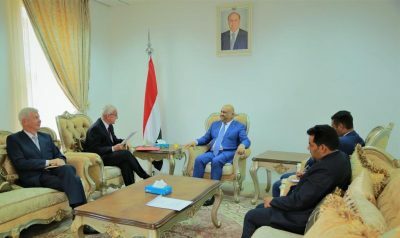 The Czech Ambassador stated that his country’s government is supporting the legitimate government and political solution in Yemen based on the outcomes of National Dialogue, GCC’s Initiative, it executive mechanism and International Security Council resolution, namely 2216.